“What’s the weather like today?” “Is it raining next weekend?”, these questions have been at the center of everyday lifestyle for centuries, recently boosted in a massive way by weather apps on smartphones. 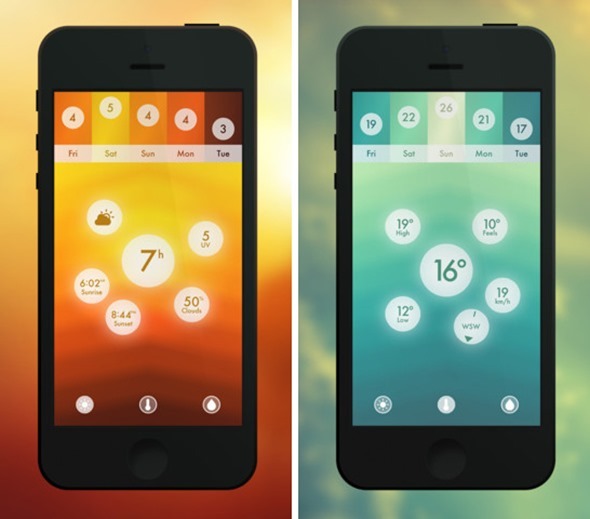 Haze is a new minimalistic app for iOS that makes the simple task of checking the current weather, as well as weather forecasts, actually simple. You might be wondering why anyone has taken the time to develop another weather app, since so many are already available on the iOS app store. According to the developers of the app, too much information is displayed on current weather apps, making them cluttered and quite hard on the eye. Haze, on the other hand, displays nothing but a background image, which changes depending on local weather conditions, and the current temperature. What can be done from there, however, is absolutely up to the user. 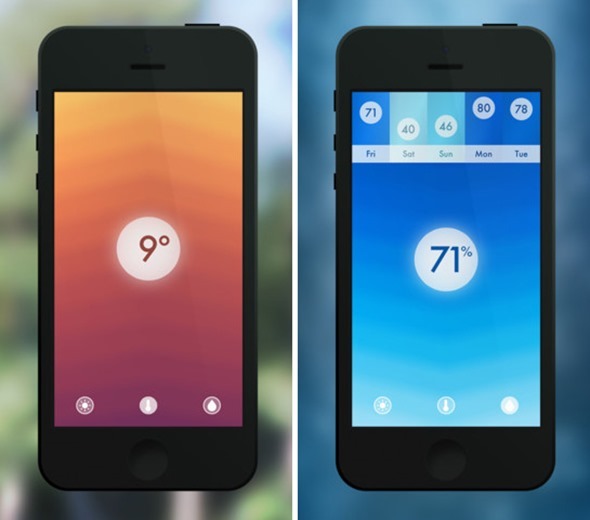 Three small buttons along the bottom allow users to enter into three different modes: weather, temperature and humidity; by simply swiping left or right. The background and main indicator will change; clicking on the latter will always bring more details about the current conditions, such as wind speed and direction, high and low temperatures for the day and UV radiation. Swiping down from the main screen will reveal forecasts: temperature forecasts, sun hours or humidity forecasts, depending on the section the mode the user is currently on. Swiping down further will bring up an option to bring up the app’s settings, which allows different themes to be selected, and locations to be picked. Increased app usage will allow users to unlock additional themes (which the developers promise look just as good as the default one). Want to give this a shot? For a limited time, it is available on the App Store for $0.99, although the price will soon be tripled. While likely not the biggest invention since sliced bread, it might be just what you need to plan this weekend’s hiking trip. After all, the standard iPhone Weather app is so 2007!